The United Aircraft Corporation is a part state owned Russian aircraft manufacturer, sanctioned by the European Union following the Russian invasion of Ukraine. Its subsidiary, the Irkut Corporation, is selling 6 SU-30 fighter jet aircraft to the Burmese military. The sale agreement was announced on 22nd January. 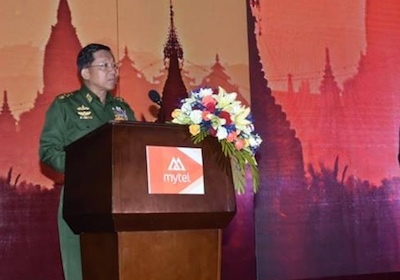 The Myanmar Times described the jets as ‘suitable for Myanmar’s counter-insurgency operations’. Use of fighter jets in so called counter insurgency operations have frequently resulted in injuries and deaths of ethnic civilians. Irkut Corporation is also selling Yakovlev Yak-130 multi-role combat and training jets to the Burmese military. The jets have reportedly been seen in Kachin state, where jets have killed civilians. United Aircraft Corporation also manufacture the Sukhoi civilian aircraft brand.